Womadelaide 2016: Navigating the New World | Daily Review: Film, stage and music reviews, interviews and more. It is less than ten days until WOMADelaide opens again for three days and four nights of intriguing and often exhilarating music, performed by 400 musicians from more than 30 countries. From small, but nonetheless impressive, beginnings in 1992 under the wing of Rob Brookman’s Adelaide Festival, WOMADelaide, now in its 20th incarnation and an annual fixture since 2002, has become a major national festival. Noted for its consistent quality, and the depth and variety of its programming, it includes not just music, but dance, strolling theatre, visual arts, and an extensive range of speakers and discussion panels. Last year this Festival-within-the-Festival drew a record 95,000 attendances over the four days and nights and, in 2016, in David Sefton’s somewhat downsized Adelaide Festival program, it is very much the major event for the final weekend. WOMADelaide Operations and Program Manager, Annette Tripodi has been putting the performance schedule together since 1999 and it is a new challenge every time. With six program blocks from Friday through to Monday night Tripodi looks to identify headliners and build the jigsaw around them. “That’s the ideal,” Tripodi explains – the artists who take the longest time to secure, and who cost the most, are the most prominent names and sometimes they come in at the last minute and it all works. But you are always looking, at the beginning of the programming cycle, at who’s going to be the anchor of the night. That changes and changes and it has a snowball effect on everything else . 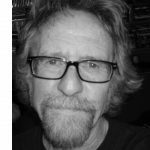 “We start with a list of key headliner internationals and then another list of excellent internationals who are the typical WOMAD discoveries who have never played in Australia before. Where they play, and when, is affected by the headliners. So Friday night turns out to have three huge names and they are all once-onlies – Violent Femmes, The Cat Empire and Angelique Kidjo. “Angelique Kidjo is a really interesting one for this coming festival because people have assumed she has done WOMAD before, but this is her first time. I have seen her in many phases — playing her first album, Logozo, in the early ’90s in her very African guise, in a very slick French combination in WOMAD in England, in Adelaide venues like HQ and Thebarton. All of them were fantastic. Kidjo will perform a repertoire including new songs from her long-time collaborator, Jean Hebrail and works specifically composed for her by Phillip Glass. WOMAD is not only an opportunity for new events but also triumphant returns. Popular live act The Cat Empire first played the after hours Wozone back in 2003 and by the time they returned in 2004 they were huge national favourites. Tripodi is enthusiastic about their return in 2016. “They are an exceptional live band, they can hold a Stage One audience of 20,000, they are much-loved and superb musicians. They love the festival, and even though they are on a big tour to promote their new album, they have all made time to stay over at the festival. They were 19 when they first played and now they are in their 30s, married with children.” Just like the ever-ageing and expanding WOMAD audience, one might add. “We are trying with each festival to have a completely different program from the year before. “ Tripodi says. “But coming back after a break in 2015, I realised Big Day Out is no more, Soundwave is no more, and Future Music is no more. Not that we have had the same audiences, but there is some crossover and it’s alarming how these mega festivals have crashed and burned. 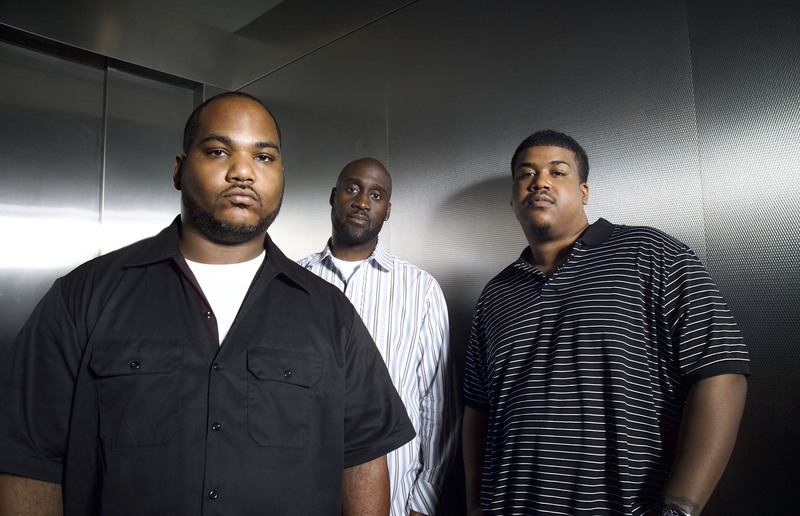 Casting her eye across the other nights’ once-only lead acts, Tripodi points out, on Saturday night, the late ’80s hip-hop favourites De La Soul, (pictured) touring with new material – upcoming 2016 albums include And the Anonymous Nobody and Premium Soul on the Rocks. Also, returning after previously performing at the festival with Kronos Quartet in 2008, is Indian singing legend Asha Bhosle. At 84 she still tours and regularly records new albums. With a career which began in 1943, to call her prolific and enduring is an understatement. She will perform with her Bollywood mini-orchestra featuring vocals from her grand-daughter and an entourage which includes her son and daughter-in law. Several names are contenders for top of the bill on Monday night. As is the WOMADelaide tradition, a major afrobeat band holds the stage. This year it is Seun Kuti, 33 year old son of Nigerian legend and political activist, the late Fela Kuti. With his band, Egypt 80, which includes members and compatriots of Fela Kuti’s group, Seun Kuti will perform from his 2014 CD, A Long Way From the Beginning. Also on the final night bill is English electronica outfit, Asian Dub Foundation. Founded in Hackney, London in 1993 they are long time big beat, drum and bass favourites. Led by Steve Chandra Savale (aka Chandrasonic) and including Sun-J, Pandit G, and Rocky Singh among others, they will perform across their repertoire (including Fortress Europe, I hope) and their most recent studio album – More Signal More Noise. But as Annette Tripodi has remarked, the challenge of programming is finding the best settings and opportunities to highlight new talents and sounds, those WOMAD favourites no one has heard of yet. Among those which have caught my attention are Tulegur from China, a duo featuring guitarist Zongcan and throat-singing vocalist Gangzi. Their evocatively lyrical album, Wind Grass Sound is Mongolian pastoral but as Annette Tripodi observes, in concert, they almost sound like Nirvana. Also young, fresh and strong on the beats are 47 Soul, Middle Eastern dance cross-over from Palestine, Jordan and Syria. Alsarah and The Nubatones from Sudan/USA also promise lively fusions. And, a likely surprise is singer/songwriter John Grant, formerly of the The Czars, now based in Iceland. His album, Grey Tickles, Black Pressure (an Icelandic nickname for depression) explores his clashes with addiction and sardonically reflects on surviving the experience. Women have always held up more than their half of the WOMAD sky. This year there are sister acts, Mahsa and Marjan Vahdat from Iran (their album Twinklings of Hope, is aptly named) along with Ibeji — identical twins, Naomi and Lisa-Kainde Diaz, daughters of Buena Vista Social Club musician Anga Diaz, linking Cuba, Paris and West African Yoruba percussion. Another rising star is Ester Rada whose debut CD promises a vibrant, jazzy performance on Stage One on Saturday night. Sarah Blasko heads the Australian talent, along with All My Exes Live in Texas, and the much-praised young singer, Samba the Great, from Zambia but now resident here. Other Australian performers featured in the Festival include legendary singer songwriter Kev Carmody, reggae band The Strides and Adelaide unit Wasted Wanderers. Marlon Williams and the Yarra Benders, riding high on recent gigs including Day on the Green, will also have an eager following. Folk and post folk music is a constant component at WOMADelaide, although given the rich talents from the UK and Ireland, as well as the profusion of interesting Americana bands, many more could be included. Nevertheless, this year, we will be well served by trance folk minimalists Spiro, Australian duo Husky, The Once, and fellow Canadians, The Jerry Cans. The Cedric Burnside Project, a duo featuring drummer Cedric (the grandson of the blues great, R.L.Burnside in main pictures) and guitarist Trenton Ayres will mix blues with hip-hop and funk, while Malian quartet Songhoy Blues blend US guitar styles with West African rhythms in a once-only set on Monday Night at Stage Three. There are always some performers who, even on first cursory hearing, demand further attention. Greek vocalist Savina Yannatou and her great band Primavera en Salonico is one such example. She returns after a seven year break and is not to be missed. Neither are Calexico, mixing mariachi with country music, Tucson Arizona-style, featuring their ninth album, Edge of the Sun. Jazz influenced Colombian harpist Edmar Casteneda features with his trio on Monday night at the Zoo Stage. Also essential listening is charismatic classical flamenco singer Diego El Cigala, performing late on Saturday at the Moreton Bay Stage and, on Friday night, Indian virtuoso slide guitarist Debashish Battacharya will present a meditative late night set at the Zoo Stage. Annette Tripodi’s 2016 WOMADelaide program is full to the brim. The world has come to visit – and it’s sounding good all over again. WOMADelaide runs from March 11-14 at Botanic Park, Adelaide. Main image: Cedric Burnside.